Pyonkee is a powerful iPad app for teaching kids and adults about coding. 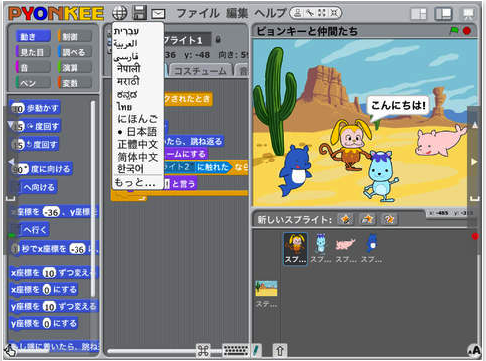 Pyonkee has been developed from the open source code of the popular coding app Scratch from MIT Media lab. This means that learners can use millions of Scratch projects for reference. 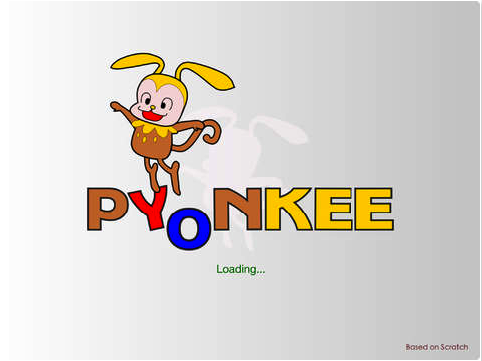 Pyonkee provides student friendly programming environment where kids can use it to learn programming through engaging games and activities. They will also get to program their own games, animations and stories and boost their creative and collaborative skills. Pyonkee’s user interface is optimized for touch interfaces. It also supports pinch out/in display and font scaling for some devices. Sound recorder and camera are also provided for importing your sounds and pictures into the projects.